Steven Van Zandt looks at the role muscians and music played in the anti-apartheid movement. With contributions from Jerry Dammers, Peter Gabriel, Jim Kerr and Hugh Masekela. 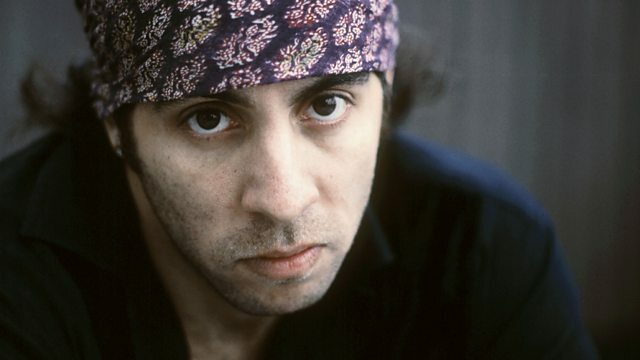 Steven Van Zandt (guitarist in Springsteen's E Street Band, actor in the hit show The Sopranos, and composer of the anti-apartheid song Sun City) looks back at the role music and musicians played in the anti-apartheid movement. With the Football World Cup, the biggest sporting event on the planet, taking place in South Africa this summer, it's hard to imagine that the country was once an international pariah. With the implementation of the apartheid system and the subsequent incarceration of Nelson Mandela, South Africa became a country which was abhorrent to many. Amongst those who took up the fight to end apartheid were musicians. Steven takes the story from the protest songs of the 1960s, led by Harry Belafonte, Hugh Masekela and Miriam Makeba; through to Wembley in 1990, when the newly freed Nelson Mandela spoke to the world at a concert hastily organised in his honour. On the way he hears the stories behind several iconic anti-apartheid songs including Peter Gabriel's Biko and Free Nelson Mandela, which was composed by Jerry Dammers of The Specials. During the programme, Steven reveals that he took two trips to South Africa to find out more about apartheid in 1984. He wanted to meet with all the anti-apartheid groups and this meant going into Soweto, which was under constant police surveillance. Thanks to the help of his record company, he was smuggled into Soweto under a blanket in the back of a car to meet with various groups. One meeting was with AZAPO - the Azanian Peoples Organization. He wanted to meet them to persuade them that the anti-apartheid war would be won via the media - not guns. "I was white, an American and I had a Dutch name - people weren't too keen to talk to me! Ultimately my freaky rock 'n' roll appearance convinced them I wasn't a government spy. I entered a basement room, still under the blanket, there me and my two friends were greeted by about 15 or so of the Directorate of AZAPO... We then engaged in a conversation, which was quite adversarial from their point of view. They did not like the fact I was there at all. In their eyes I was a boycott breaker and they mentioned a few others on the list, a hit list which included Paul Simon. I was in a strange state of mind in those days and for some reason I had absolutely no fear and I very calmly explained to them that their struggle, with all due respect, was misguided and the authorities loved the fact that they had picked up guns...I had another way, I explained with my arrogant innocence, and in fact the only way this war was going to be won was through the media. It didn't occur to me til later just how lucky I had been to convince someone their war could be won on a TV, when they were living in a place with no electricity." Contributors include Peter Gabriel, Jerry Dammers, Hugh Masekela, Jim Kerr, Arthur Baker and journalist Robin Denselow.